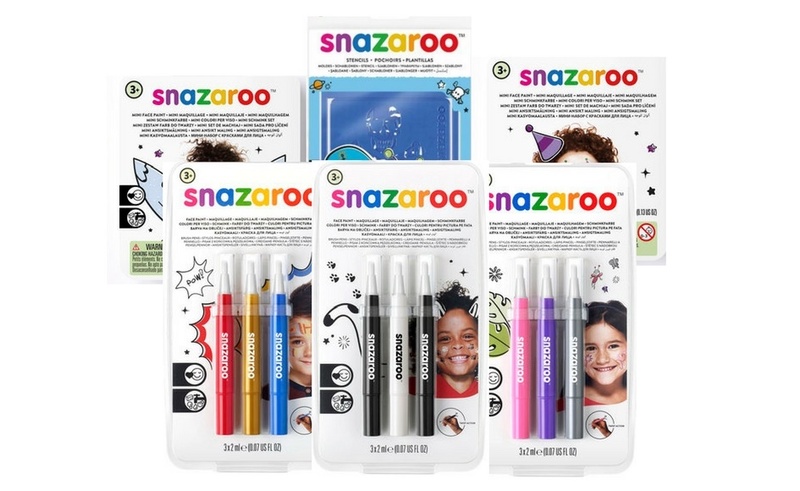 New to the Snazaroo™ line of products, the The Snazaroo™ Brush Pens are a clever two-in-one product that features a brush applicator and high-quality liquid face paint. Available in 12 colors, the liquid paint is fragrance and paraben free making it safe for any application and suitable for sensitive skin. Use with a Snazaroo™ stencil set, or create your own unique designs. With Snazaroo™, the possibilities are endless. Tryazon will select 100 hosts for this opportunity. Those chosen will receive a party pack including three Snazaroo™ Brush Pen Packs, and many extras to showcase and sample with friends, family, and more! Learn more about the products and party by clicking the tabs below! 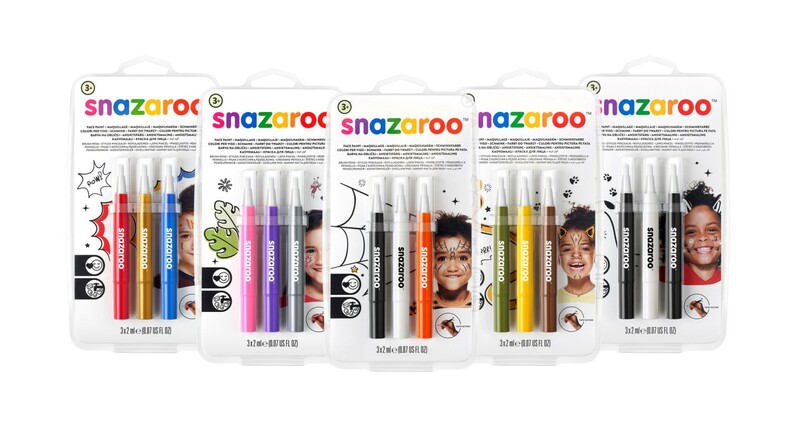 The Snazaroo Brush pen is a clever two-in-one product that features a brush applicator and high-quality liquid face paint. Available in 12 colors, the liquid paint is fragrance and paraben free making it safe for any application and suitable for sensitive skin. One of the best things about Snazaroo Brush Pens is that it uses a twist-action design, like concealer, allowing the paint to be delivered to the brush tip in controllable amounts, making it completely mess free! Did you know Snazaroo has many amazing tutorials available on their YouTube channel? Check out the following video to learn how to paint a fox in three easy steps. Then visit YouTube to learn even more tips and tricks from Snazaroo. Use #tryazon and #SnazarooBrushPens to include your tweet on this page! The fun begins in June, when parties will be hosted! Best facepaint out there! So easy to appy it lightly or thicker for more coverage. Also easy to blend. Stays on well but comes off easily when you use soap and water. I've used this brand for years and it always works splendidly.